March 10th 2018, takataapui, transgender, and intersex people and supporters walked, danced, and rode along in the Wellington International Pride Parade with a clear message: trans health care now! 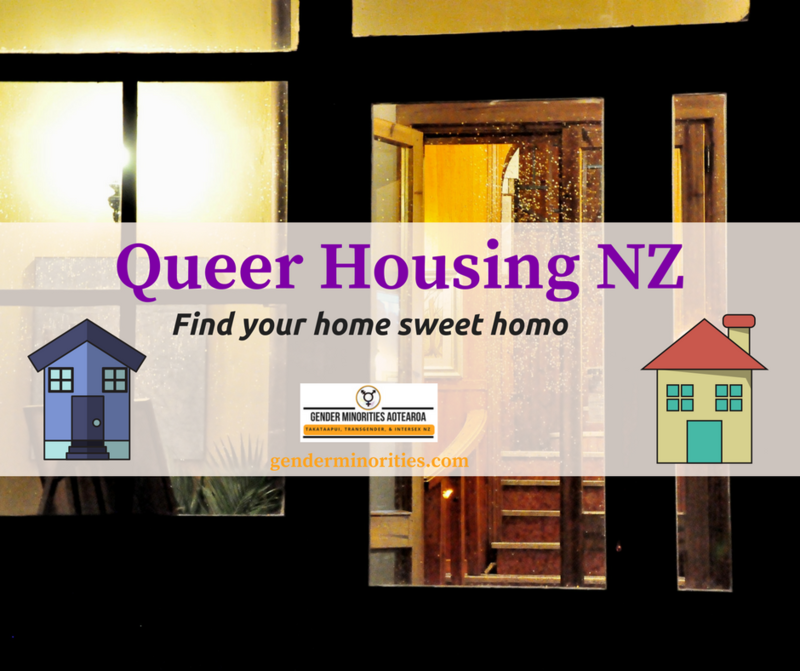 The float was hosted by Gender Minorities Aotearoa, The Gender Centre, Aunty Dana’s Op Shop, and InsideOUT, with support from NZPC. Float participants carried a large banner, waved transgender flags, and held placards painted in trans flag colours with slogans such as ”stop non-consensual surgeries on intersex babies”, ”protect trans youths”, ”non-binary not confused”, and ”trans intersex taonga”. One placard posed the question ”40 year wait list?”, another read ”access to health care saves lives”, ”transgender lesbians need HRT too”, ”support sisters, not only cis-ters”. Behind those walking, Bicycle Junction cycled along playing an upbeat pop play-list compiled by one of the volunteers at Aunty Dana’s Op Shop. Following the music, Aunty Dana’s van ”Pash” carried participants with mobility access needs. A mannequin reclined in a chair on the roof, draped in a huge transgender flag which spread over the sides and back of the van. She wore a trans flag coloured headband and carried a sign that read ”health care for all”. ”Indigenous genders are real” read the final sign in the transgender health care float – strapped to the back of the van. says Gender Minorities Aotearoa’s National Coordinator Ahi Wi-Hongi. Audio interviews with Pride participants at PrideNZ.com here. ”A huge thank you to Amanduh and the WIPP organisers for all your hard work, to our pals at InsideOUT who we love working with, to NZPC who are strong advocates for trans health, to Jaye, Kerry, Sam, Jess, Ada, Lola, Dan, Dylan, Ella, and everyone who got involved and helped to make this happen. To the beautiful people of all genders who joined the float, and to the folks out there who came to watch and support. ”Nga mihinui ki a koutou katoa, we look forward to appropriate health care in the near future. Gender Minorities Aotearoa is opening The Gender Centre in Wellington, Transgender Day of Visibility March 31st. InsideOUT is holding Shift Hui n Wellington, April 20 – 23.